Making your own toothpaste is much easier than it seems. 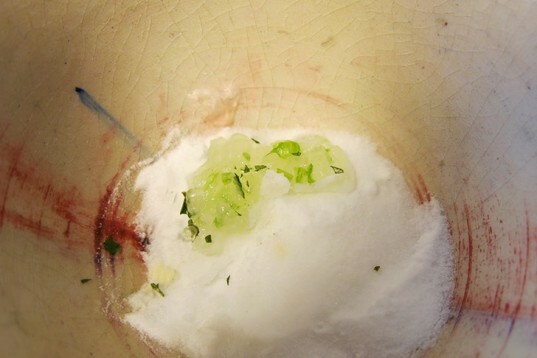 All you need is a juicy Aloe Vera plant and two or three items from the store: baking soda and vegetable glycerin -- which are easy to find and cost just a few dollars. The third item is fresh mint, which is easy to grow in your garden -- so if you have some homegrown mint on hand, even better. 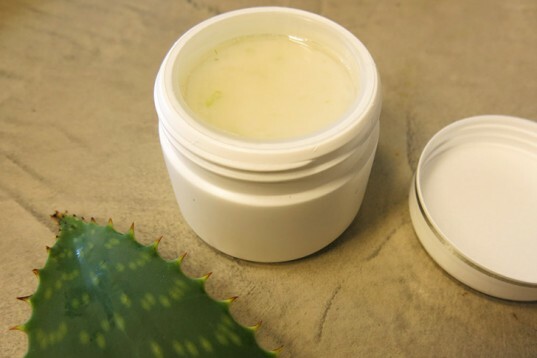 Aloe Vera has plenty of goodness: it’s fresh, digestive, it is used as moisturizer and for treating wounds, and it is antibacterial and soothing. Looking more like a fresh gel than the white paste we squeeze and taste every morning (which is more often than not full of ingredients that are unnecessary and even harmful), this refreshing mix has only four ingredients, and takes five minutes and zero (electric) energy to make! Get a new jump start on your day, and read on to see how to make Aloe Vera toothpaste -- your kids can even help you whip up a batch! You can either buy or plant an Aloe Vera plant, or check around your neighborhood, at parks, and ask friends and family if they know where any Aloe Vera plants are located. Aloe is plentiful and very easy to find — and while most species are edible, double-check your finds (as some types of Aloe Vera have laxative effects). First things first: cut off the spikes and open through the fleshy leaf with a sharp knife. 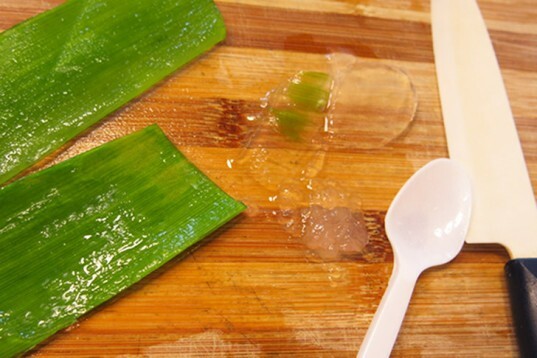 Scrape the gel with a spoon or knife. 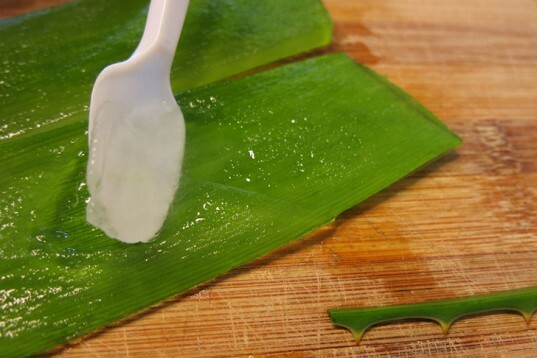 Use a knife to chop the Aloe Vera gel into small juicy bits. 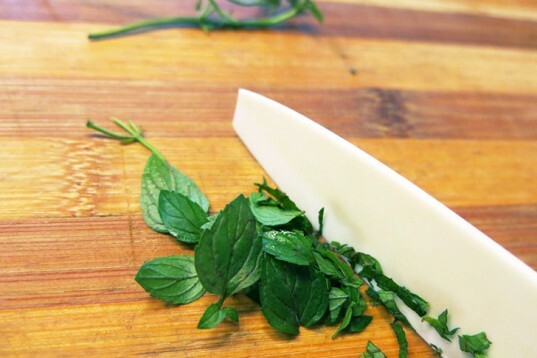 Chop a bit of mint very finely for flavor, or you can add 10 drops of eucalyptus, peppermint, cinnamon or spearmint oil. 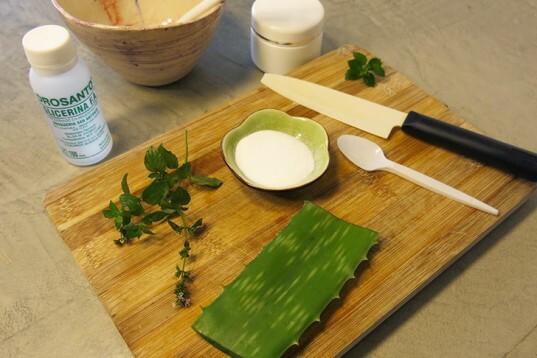 Mix the Aloe Vera gel with the mint, add 5 tsp. of baking soda and 5 tsp. of vegetable glycerin, mix again. 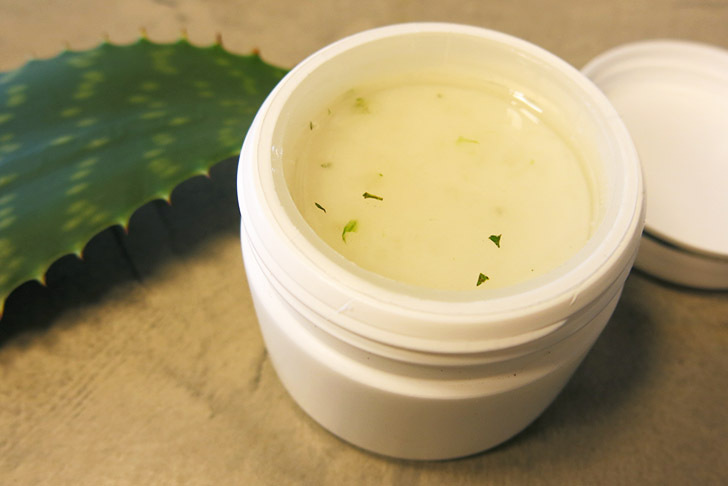 You could reuse an empty cream pot or buy one that you like, glass is preferable for purity, but plastic is better for traveling with the Aloe Vera toothpaste you made yourself. Note: The beautiful ceramic bowls seen above are handmade by Victoria Watson. I understood that baking powder is abrasive to the tooth enamel and therefore should be avoided? Baking powder or sodium bicarbonate is used in toothpaste because it's mild abrasive properties remove the bacterial plaque that is adhered to the enamel. The action of the toothbrush is not enough to remove the plaque completely, a mild abrasive in needed to remove the plaque's "glue". Salt is another abrasive that can be used when there is no toothpaste at hand. Im a dentist and I approve this formula. 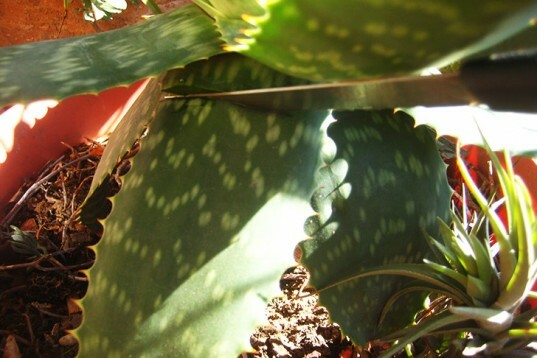 You can either buy or plant an Aloe Vera plant, or check around your neighborhood, at parks, and ask friends and family if they know where any Aloe Vera plants are located. 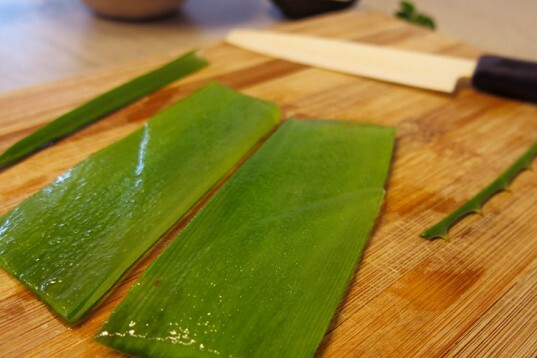 Aloe is plentiful and very easy to find -- and while most species are edible, double-check your finds (as some types of Aloe Vera have laxative effects).